We often don’t think twice about where our wastewater goes after flushing the toilet or even taking a shower, but your septic system plays an important role in keeping your family safe. Waterborne diseases are one of the leading causes of death and illness around the world. Pre-septic system times (and today in third-world-countries), people would throw out their waste into the streets, into rivers, etc. Deuteronomy 23:13 says, “When thou wilt ease thyself abroad, thou shalt take a shovel and dig therewith, and shalt turn back and cover that which cometh from thee.” In the United States, we don’t need to carry shovels around, however, the verse reminds us we are responsible for the waste we create. Septic systems prevent waterborne diseases such as typhoid, amoebic dysentery, paratyphoid, giardiasis, Legionnaires disease, hepatitis, bacillary dysentery, polio, cholera, meningitis and many more. The World Health Organization estimates more than 3.4 million people die each year due to waterborne diseases. 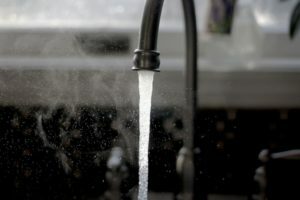 So, while a failing septic system is viewed by homeowners as more inconvenience and cost here in the United States, it can have serious impacts on our environment and health. Owning a septic system is still considered a luxury in most third-world countries. While the cost of installing and maintaining a septic system may not be cheap, and is likely not your favorite thing to spend your hard-earned money on, it protects you, your family, your neighbors and your pets every day. ← Toilet Paper for Septic Systems: Can I Use the Good Stuff?